Ramesh K. Vaidyanathan and Pooja Thacker . The new Companies Act, 2013, has made it mandatory for companies to be socially responsible by introducing the 'corporate social responsibility' (CSR) regime. Section 135 of the new Companies Act, read with the CSR Rules, mandates companies meeting certain criteria to set aside two per cent of their net profits for undertaking and promoting socially beneficial activities and projects in India. The Ministry of Corporate Affairs (MCA) recently issued the CSR Rules, 2014, to implement this legislative mandate, which comes into effect on April 1, 2014. What radical change is expected? Every company with a net worth of at least Rs 500 crore, or a minimum turnover of Rs 1,000 crore, or a minimum net profit of Rs 5 crore, is obligated to constitute a CSR committee dedicated to undertake a mixed spectrum of initiatives, such as promoting education, gender equality, women's empowerment, improving maternal health, or ensuring environmental sustainability. The company's net profit would, however, exclude any profit from its overseas branches or companies, and would also exclude any dividend received from other companies in India. The law does not treat foreign companies differently, and includes foreign companies doing business in India, whether by themselves, or through an agent or even electronically. The company can choose the social cause or project it wants to support from the list of activities specified in the Act. The CSR committee will then have to frame a CSR policy in accordance with the rules and implement it. The company's board of directors will have to play an active role by participating in the CSR initiative at various stages, including the identification of the activities, approving the policy, and disclosing its contents in the board's report and on the company website. Surplus funds in respect of the CSR projects cannot form a part of the company profits. The rules specifically exclude contributions or donations made to political parties from CSR activity. The CSR regime complements the efforts of the government and non-government organisations by requiring companies in India to initiate activities for the economic well-being of the underprivileged and for the environment. Companies can also join hands to undertake CSR projects. Social and economic initiatives, as a responsibility of the companies, are gaining popularity internationally. The Financial Reporting Council in the United Kingdom is in the process of introducing guidelines for disclosures regarding environmental, social and governance (ESG) issues by a company. The intention is for these to replace the existing 'business review' section of annual reports, and companies would be required to provide complete disclosure about their business activities, including social efforts. Also, the European Parliament's Legal Affairs Committee approved draft legislation on corporate non-financial reporting, which requires some companies to disclose information about their environmental, social and employee-related impact, as well as their diversity policy. A more practical and sensible approach to implementing the CSR regime in India is to make efforts to support a good cause in every move made by a company. The principles of social responsibility can be incorporated into the business strategy of the company. The company can make efforts to internally create awareness about ethical business practices and principles. Charity events sponsored by companies can promote the cause they support, rather than a brand. Employees can be made more aware of alternative uses of office resources, and about saving paper, electricity, water and so on. Employees who believe in contributing to the society should be encouraged to assist the CSR committee in formulating a socially beneficial CSR policy. Are the rules clear enough? A bare reading of the new CSR rules may indicate simplicity and reader-friendliness. But close analysis of the fine print leaves ample room for ambiguity at various places. While the Companies Act prescribes a specific method for computing net profits and the CSR contribution, the CSR rules take a step backwards in carving out exclusions from the net profit so calculated. Most shockingly, one of the exclusions provides that the profits of a branch of an Indian company located outside India cannot be merged into the profits of the parent company for the purpose of computing the two per cent contribution. This exclusion goes against the very mandate of Section 135 and is, to that extent, ultra vires. Secondly, there appears to be a major contradiction in the rules in respect of the meaning of the words 'corporate social responsibility'. The Companies Act, 2013, defines CSR activities to mean an identified set of activities set out in the separate schedule to the Act. However, a reading of the definition in the rules indicates that the list of CSR activities provided in the rules (which also includes the schedule activities) is only illustrative and not exhaustive. At the same time, an overall reading of the rules strongly suggests that the scheduled activities alone will be considered for the purpose of CSR. Whether or not social activities falling outside the purview of the schedule form a part of CSR activities still remains doubtful. Another aspect of ambiguity in the new law that was expected to be corrected through the rules was the 'local area preference'. The Act provides that a company should give preference to the local area in which it operates for CSR spending. How would this work if a company has more than one operational office in the same city, or even otherwise? Is the location of a factory, as opposed to the corporate office, the target of preference? The CSR rules have rightly excluded contributions directly or indirectly made to a political party from the scope of CSR activity. But, what about contributions made to institutions affiliated with one or more politicians or those located in a constituency represented by a politician who has some form of regulatory supervision or leverage over that company? What about activities/institutions being run under the trusteeship or office of a politician? Another aspect of the rules that may be abused is the carve-out made in respect of CSR activities undertaken 'only' for the benefit of the employees and their families. Could the intent of the legislation have been to mean activities undertaken 'primarily' to benefit the employees? If a company undertakes a project primarily but not exclusively benefiting its employees, should that be considered CSR activity? While the new rules are well-meaning, there is definitely room for further clarity and certainty. The last thing anyone wants is a select group of people with vested interests benefiting from this noble legislative initiative. 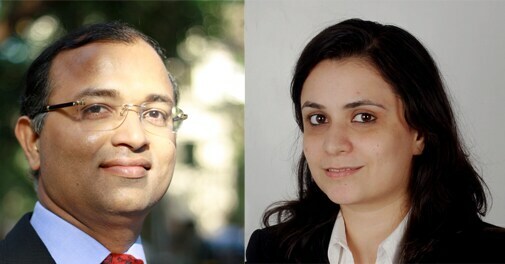 Ramesh K. Vaidyanathan is Managing Partner, and Pooja Thacker is Associate, at Advaya Legal Mumbai.